If your Chromebook is frozen, there are a number of steps you can take to fix it. Let's look at reasons why Chromebooks malfunction and learn how to address them. A Chromebook is any lightweight laptop that runs Chrome OS, a stripped down operating system designed primarily for working online with Google docs. Many companies now make Chromebooks, but since they all run the same software, all Chromebooks are prone to many of the same problems. Remove any external devices. If your Chromebook freezes up or becomes unresponsive, first try removing any external devices you have plugged in, such as USB drives or headphones, to make sure they are not causing the problem. Check error messages. If you're presented with an error message while your Chromebook is frozen, write down the message and Google search the exact text using another device for insight into what steps you can take. You can also consult the Chrome OS Help Website for further guidance. Close some apps. If your screen is frozen, yet you can still control the mouse cursor, press the Shift and Escape keys on your keyboard simultaneously to bring up the Chrome OS Task Manager. Scan the list of currently running apps and web pages. If you see one that's consuming a lot of memory, click on it and select end task. Perform a hard reboot/Shutdown Chromebook If you cannot control the mouse cursor, try performing a hard reboot by holding down the Power key until your Chromebook turns off. When you turn it back on, open Task Manager to see if any apps are taking up too many resources and consider uninstalling them. Keep an eye out for newer apps you don't recognize. Select the column headers to sort the app list. Drain the battery. If your Chromebook is frozen and won't turn off, unplug your computer from its power source and allow the battery to drain. Wait three hours to give the CPU time to cool down before reconnecting the charger and turning on your device. Perform a hard reset. If your Chromebook will not boot up at all, you can perform a hard reset by holding down Refresh+Power simultaneously for about five second. The refresh key looks like a circular arrow and is typically located at the top of the keyboard. Some Chromebooks have refresh buttons that look different; consult your device's user manual for help finding it. A hard reset simply restarts your Chromebook's hardware. Therefore, you could lose some of your configuration preferences for the trackpad and keyboard, but you will not lose any apps or files with the potential exception of what's in your Downloads folder. A factory reset, or a powerwash, is not the same thing as a hard reset. A factory reset will erase all of your files and return your device to its original settings, so consider this method only as a last resort. Get it professionally repaired. 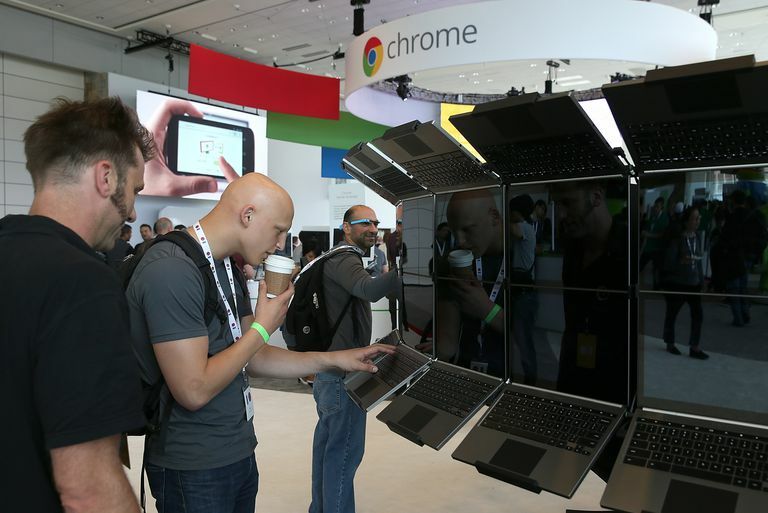 If you're still having trouble with your Chromebook, there are probably some internal hardware issues. Check your device's warranty to see if you can get it looked at by a professional for free.